Physicians, Dentists, other prescribers and Pharmacists can play a big role in decreasing the opiate epidemic by using tools to prevent overprescribing and diversion of prescription medications. The Ohio Automated Rx Reporting System (OARRS) and the Generation Rx Toolkit are helpful strategies for educating health care professionals. The Ohio Automated Rx Reporting System (OARRS) system can be used to check each of your patients and customers before you write or fill a prescription. OARRS allows prescribers, pharmacists and certain law enforcement officials to quickly identify drug seeking behaviors and help keep potentially dangerous medications out of the hands of addicts and abusers. An OARRS Prescription History Report also helps assure that your patient is getting the appropriate drug therapy and is taking his or her medication as prescribed. For easy registration instructions on requesting Patient Rx History Reports using OARRS, click here. Medical professionals play an important role in identifying risks and substance abuse among adolescents. Help get the conversation started and see the guidelines for prescribing to minors. The State of Ohio Board of Pharmacy is the single State agency in Ohio responsible for administering and enforcing laws governing the practice of pharmacy and the legal distribution of drugs. The board regularly updates information on prescribing, new laws and rules, and general information about prescribing. For updates from the Board of Pharmacy, click here. Take Charge Ohio offers prescribers and other healthcare professionals the resources and tools to properly educate patients on safe medication and pain management practices. Physicians can find posters to download and print for their office to educate patients on the risks of taking pain medication. The Centers for Disease Control and Prevention (CDC) developed a guideline for prescribing opioid pain medication for patients with chronic pain. The CDC Guideline for Prescribing Opioids for Chronic Pain aims to reduce the number of people who misuse, abuse or overdose these drugs. There are many tools at www.cdc.gov including a Checklist for Prescribing Opioids for Chronic Pain. Other resources can be found here. Generation Rx: Preventing the Misuse and Abuse of Prescription Medications is a toolkit to be used by pharmacists, pharmacy students and other health professionals to provide community presentations about this serious and growing public health problem. 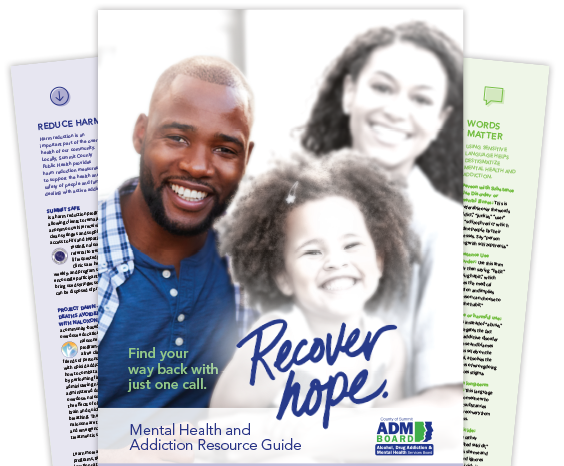 The toolkit contains a simple set of PowerPoint slides with talking points, a handout containing key messages, and frequently asked questions. Supplemental toolkit materials also include a quiz for program participants, and a commitment card. The 5th Annual Current Concepts in Integrated Health Care Conference is scheduled for Saturday, November 3, 2018 at the Hilton Akron/Fairlawn (3180 W. Market St., Akron, OH) from 8:00am - 5:00pm. The conference is designed to give indepth information about mental health and addiction to healthcare professionals and social workers. Click here for a list of topics and speakers for 2018. The 4th Annual Current Concepts in Integrated Health Care Conference was held Saturday, November 4th at Cleveland Clinic Akron General Wellness Center from 8:00am - 4:30pm. 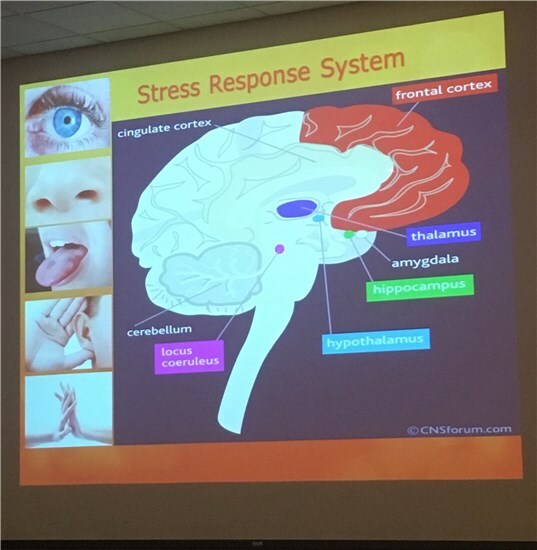 Speakers presented to health care professionals from around Northeast Ohio with a focus of understanding more about mental health and addiction. Presentations available below courtesy of each speaker. Alcohol Use Disorders in Women - Ann DiFrangia, D.O. Smoking Cessation Strategies in 2017 - Robert Schilz, D.O., Ph.D. Effective Healthcare Strategies for Patients with Borderline Personality Disorder - Coda Derrig, Ph.D. Adverse Childhood Experiences and Future Illness - Sumru Bilge-Johnson, M.D. The Opiate Scourge in Ohio: My Perspective as a Family Physician, Medical Educator, County Coroner, and State Legislator - Terry Johnson, D.O. Updates in the Opioid Epidemic - Nicole Labor, D.O. Integrative Medications: The Therapeutic Potential of Omega-3 Fatty Acids and N-Acetylcysteine - Erik Messamore, M.D., Ph.D. The 3rd Annual Current Concepts in Integrated Health Care Conference was held in 2016 about mental health and addiction. Presentations available below courtesy of each speaker. Challenges in Treating Psychosomatic Disorders - Todd M. Ivan, M.D. Treating Depression and Anxiety in the Geriatric Patient - Rebecca Schlachet, D.O. Understanding the Neurobiology of the Addicted Brain - Nicole Labor, D.O. Is it Medical, Psychiatric or Both? - Susan Padrino, M.D. and Michelle Romero, D.O. Best Practices in Prescribing Benzodiazepines - Michael Carlisle, D.O. The Community Impact of Needle Exchange Programs - Maguerite A. Erme, D.O., M.P.H. Update in the Opioid Prescribing Guidelines - Brian L. Bachelder, M.D.